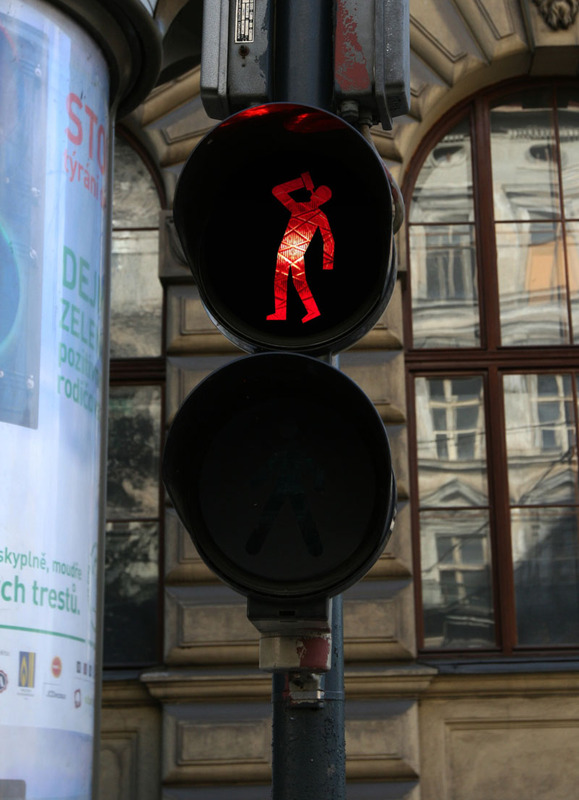 Czech artist Roman Tyc (née David Hons), member of the guerilla art group Ztohoven, replaced 48 traffic lights in Prague by amending the standard red and green figures to show them in situations such as drinking, urinating and being hanged, as well as more benign ones such as a man walking his dog. 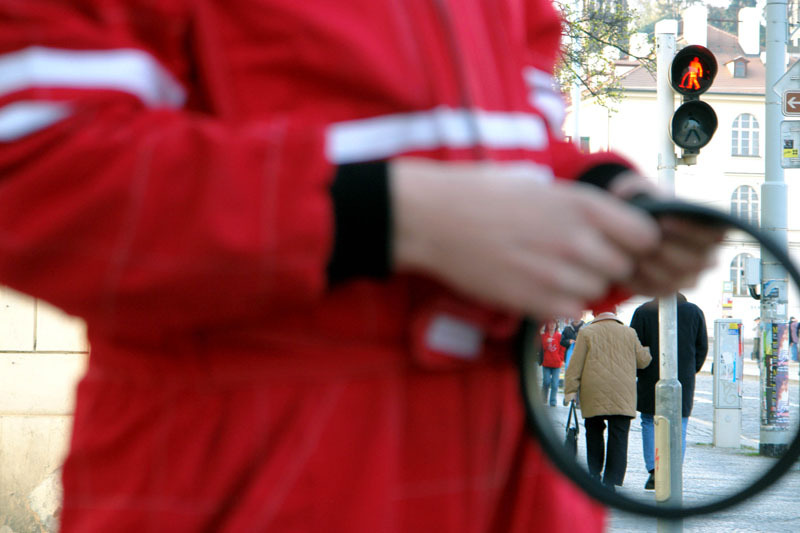 The act was embraced by the public as great fun (as well as awarded top prize at Austria’s Sidewalk Cinema Festival in Vienna that year) but, naturally, not so much by the authorities. Tyc had to pay for repairs in addition to a large fine. Tyc paid for the repairs but, refusing to pay the fine, was sentenced to 30 days in prison this past February. In protest, his supporters signed petitions and ‘decapitated’ – by blacking out the heads – traffic light figures throughout the Czech Republic. Despite their efforts, Roman Tyc served the 30 days and was released in March. This entry was posted in Art, Light, Pop Culture, Street Art, Stuff We Like. Bookmark the permalink.